In a recent meeting with a group of parents, we were discussing the mental health and well-being of our young people. Our society has become increasingly stressful and that stress is not just impacting adults, but our youth also feel the anxiety and pressure to perform and make significant future decisions all under the intense spotlight of social media. One of the parents and fellow educators shared an article that really hit home for me as a parent. My children are out of the house. One a college graduate working in Cincinnati and one serving our country in the U.S. Navy. But still, they feel that pressure, and I sometimes struggle with how to support them. In a recent conversation with my son, the wisdom of the article guided me as he and I discussed his life and career choices. The article is entitled Stop Asking Kids What They Want to Be When They Grow Up. The key point is that asking kids what they want to be creates stress because it asks them to define themselves in terms of a career, and we are more than our careers. And, as the article indicates, work alone doesn’t always fulfill us and bring us joy. I was fortunate to meet with a group of parents and community members at an in-home coffee last week. I began the evening asking parents what kind of adults they wanted their children to be. Answers included the following: confident, independent, kind, considerate, happy. No one gave me a career or cited that they wanted their child to memorize the Periodic Table (and that is not a bad thing.) The point is that when we think about our children, we have big, bold dreams for them that usually relate to the kind of people we want them to be. That is something that we can support our children in becoming. So, don’t ask, “What do you want to be when you grow up?” or “What do you want to major in?” Instead, let’s ask our kids what kinds of challenges they enjoy and what kinds of things they would like to experience. It takes the stress off of them and you! Malcolm Gladwell wrote a book entitled The Tipping Point: How Little Things Can Make a Big Difference. In his book, Gladwell outlines how organizations across industries and cities can create significant and unstoppable change through three characteristics – contagiousness, little things can have big effects, and change can happen dramatically. I think that we are at a tipping point in Bexley City Schools, and the significant effect is going to be powerful for our students. Anyone who has recently asked me how things are going have heard me say, “Great!” I know that we are on the verge of seeing huge impact from the work that we have done this year. We have spent a year aligning curriculum and instruction in elementary math and reading. We have completed comprehensive curriculum review and revision in business, health, and science in order to support the K-12 development of our students. We have defined the scope of an instructional coach and had three exceptional Bexley teachers step up to act as our first instructional coaches beginning in the 2019-2020 school year. We have recognized that the social and emotional needs of our youngest learners require the support and expertise of full-time school counselors, and we will have those counselors next year. We have identified a tool and partners to help us to assess the social and emotional literacies of our students and ensure that we have prevention, intervention, and post-vention strategies in place to support students and families. We have improved the physical safety of our buildings and conducted comprehensive reviews of our practices in order to implement even stronger plans for next year. We have identified a new and innovative role, Coordinator of Experiential Learning, who will begin working in the 2019-2020 academic year to bring real-world experiences to our classrooms and connect our older students to internship opportunities outside our schools. I could go on, but suffice it to say that we have had a year or assessing, identifying, and preparing. And now we are at a tipping point. We are there, and we are unstoppable. Great things are happening in Bexley Schools! Change is Happening: And It's Good! Over Spring Break, we officially turned the page from winter to spring! For those cold weather, snow lovers, it may have been bittersweet. But for folks like me who crave warm temperatures and sunshine, the end of winter never comes soon enough. While we haven’t completely reached the balmy temperatures that I love, signs of spring are all around. Forsythia are starting to bloom, and as I drive into the office, I see the beginnings of tulips pushing through the ground. Change is happening right before our eyes! Sometimes changes are dramatic and easy to see, and sometimes they take place so slowly that we barely notice until one day a significant transformation is right before our eyes. I thought of this as my husband and I visited our daughter in Cincinnati over the weekend. She is one year out of college and into her professional life. The changes that have taken place in her 22 years of life have not always been noticed in the day-to-day, but as we visited and talked about her life, it hit me - she is all grown up! Wow! I am not always certain how it happened, but I am so glad that she has had a life of growth. As I reflect upon the changes in my life and in the lives of my children, I can’t help but be thankful that change does happen. The seasons change, the calendar pages turn, and our children grow. That is what we want for our children. And that is why Bexley City Schools must grow, change, and evolve as well. We cannot parent our 17-year olds the way we did our 17-month olds. And we have to educate our students differently than we did yesterday if we are to engage, equip, and empower them for life. Our teaching staff took time this past Monday to engage in new learning that will allow them to create the types of classroom experiences that will make a difference for our students. From diving into Harvard’s Project Zero training on visible thinking, which is a strategy to teach students deep critical thinking skills, to reflecting on our Bexley Learner Profile that addresses potential barriers to success and how to overcome them, our staff is learning in order to grow and change. The world is different than it was yesterday, and we have to stay focused on what it means to develop students and graduates who are engaged, equipped, and empowered. I am so thankful that we have educators in Bexley schools who are always growing and developing in order to improve the learning experiences of our students. The tulips are popping through the ground. The temperatures are inching up. And the days are getting longer. Change is happening, and it is good! Over the past few weeks I have encountered a number of individuals who are stressed and feeling the pressure to make a decision that could have long-term impact. I can understand that stress. In our lives we make thousands of significant decisions about our futures. This truth is especially evident in schools at this time of year. How do you feel about going to middle school? What classes are you going to take next year? What is your pathway after graduation? We spend lots of time focused on what is coming next. And that is not all bad, but what if it is robbing us of the joy of today? Do we miss living in the moment because we are so focused on the future? As we prepare to take a week off school for Spring Break, I encourage you to find some time to enjoy the moment. Whether you are fortunate to be traveling or staying home, and even for those who are working next week, try to find a day, an evening or an hour to live in the moment. Try not to think about the past or wonder about the future. Put your phone away, don’t take a picture to post on social media and turn off the tv. Fully enjoy your children, your family, your own quiet time. This type of living in the moment is not just a good idea, it actually makes us healthier emotionally. It also sets a good example for our children, they need to know that focusing on our mental and emotional health is important. These quiet moments recharge us and give our minds and bodies opportunities to rest so that we can continue to grow big dreams and have the energy to chase them. So, take some time off from school, worry, stress, and anxiety - if only for an hour. You might just find some of that peace and clarity that we so often seek. If you have been reading my blog over the last year, you already know many of the details of the Bold Strategic Plan we have set for Bexley City Schools. The strategic plan is a guide as we work to engage, equip, and empower each student to succeed while here in Bexley City Schools and when they graduate. As we have embarked on our journey to implement this bold plan, we have found ways that we can target our spending on staffing, tools and resources, and professional development to increase our effectiveness at reaching our strategic goals. We are in the process of hiring a student-centered Coordinator of Experiential Learning. This new member of our team will work with our middle and high school students to provide internships, service opportunities and real-world connections. These opportunities will engage our students in their passions and help them determine career choices, equip them to enter the workforce after high school or college and empower them to make decisions and impact their community through work and service. This new coordinator will also work with teachers across K-12 to bring experiential learning into the classroom. We are also targeting our spending on tools and resource. We are implementing a new tool to assess social and emotional wellness along with resources to support students and create a safe school culture for everyone. Our team has already implemented our comprehensive K-12 curriculum review in the areas of business, science, and health and will be implementing changes with new instructional resources in the coming school year that better align with our strategic goals to individualize learning and equip students for success today and tomorrow. New professional development opportunities that align with our strategic plan are already in place and will continue to expand in the coming years. As educators, we never stop learning new techniques and strategies to teach. Another way we will be supporting teachers in 2019-2020 is by adding Instructional Coaches to the staff in place of Teacher Leaders. Instructional Coaches will be experienced teachers who are able to support our teaching staff as they work to implement new research-based strategies of learning in their classroom. All of these efforts are already in process for the 2019-2020 school year; but this is just the beginning! We plan to continue improving our ability to provide an engaging and individualized learning experience to each student. As we move forward, we will be faced with the need for more operating funds to be able update technology, continue providing necessary resources for our students to learn in the 21st century and keep up with professional development and support for our staff. Through all of these current and upcoming changes, I can assure you that everything we do and every decision we make at Bexley City Schools is focused on engaging, equipping and empowering our students to succeed in our schools and beyond. We want students to “Grow Big Dreams” and have the power to achieve them. I have a sign in my office that reads, “Grow Big Dreams.” It was a gift from a colleague a number of years ago, and I have kept it with me because it really speaks to what we must do as parents, educators, and advocates for students. We must grow big dreams! Growing big dreams means we must first recognize that each of us has unique dreams and second be willing to do things differently. Students today have unlimited possibilities ahead. But if our students are to be engaged, equipped and empowered to succeed in the future, they need us to lean in to developing our school district to be more innovative, flexible, and bold! So true! Our students need educational leaders, teachers, parents, and a community who put what they need first! That could mean some uncomfortable changes for us adults as we explore new and innovative ways of teaching and learning. But it will be worth it when our students are engaged in deeper learning, equipped to handle any challenge they face, and empowered to make a difference in the world around them. Each year we ask our students to be uncomfortable and try new things: new teachers, new classrooms, new courses, new ways of grading, new expectations in these new settings, new content and new assignments. As educators we should constantly be in pursuit of new ways of learning that can enhance our understanding of education, even if it makes us uncomfortable, And as parents and community members, we should seek out new information that can lead us to a deeper understanding of the people and world around us. So, let’s do what our students need. Let’s be innovative with our instructional practices. Let’s find new ways of doing business. Let’s step out of our comfort zones to design an exceptional educational experience for students today and tomorrow. Let’s be bold in our pursuit of learning! On August 20, 2018, the Bexley City Schools Board of Education approved a bold new strategic plan: Our Bexley Blueprint! The Blueprint is a three-year plan for achieving our vision of providing an exceptional education for today and tomorrow and our mission to engage, equip, and empower each student. We utilized the input of students, staff, parents and community members, researched the most effective educational practices, and gathered data via program evaluations and assessments to develop our plan. Each theme has a three-year objective, annual goals, and detailed strategies to achieve the goals. So, how are we doing half way through our first year? I am pleased to report that we are in progress on all ten annual goals for 2018-2019. Below are some examples of our progress by theme. Implemented consistent, aligned district-wide instructional goals and introduced ongoing professional development to teachers to support those goals. Identified a tool to assess our students’ social and emotional well-being, a proven indicator of student success and achievement. Improved safety and security procedures with the input of a security consultant. Revised science curriculum will be completed on schedule Spring 2019. Launched the Principal Council to develop instructional leadership skills of all building principals. Convened a technology task force to develop a tech plan that will support innovative teaching and learning. Participated in professional development with Harvard’s Project Zero. Identified specific areas for support from the Bexley Education Foundation. Created a plan to assess counseling capacity to ensure each student is prepared for post-high school. Hosted a Blueprint roll-out in October, a Deeper Dive into the strategic plan, and in-home coffees in order to communicate vision, mission, and values to our community and provide a forum for feedback to the district. Designed a Parent Institute, launching in this Spring, to provide support and resources to the community. Established district-wide instructional goals to create an aligned and collaborative team. To learn more, please follow this link to watch our latest videos in which staff explain how the Bexley Blueprint is impacting their daily work and to see a visual of progress on each of our ten goals. We are just four months into implementing our strategic plan or Bexley Blueprint, but we are making definite progress on implementation. What have we completed so far? After the Board of Education adopted the strategic plan by a 5-0 vote on August 20, we got to work organizing the plan in order to ensure and monitor implementation. The District Leadership Team (with input from staff) identified specific strategies for each annual goal. The District Leadership Team identified the administrators who are responsible, accountable, consulted, and informed for each strategy. The superintendent met individually with each administrator to identify specific action steps for each strategy for which they are responsible or accountable. These action steps are carried out in their respective buildings and departments in order to achieve the plan. The superintendent and director of technology organized the objectives, indicators, goals, strategies and action steps into a tool, Airtable, to manage and monitor implementation. District leaders and staff began implementing action steps. By the end of business on December 19, 255+ action steps have been implemented across the district. These action steps are examples of the daily work that our staff is doing to implement our plan in order to achieve our vision to provide an exceptional education today and tomorrow that will engage, equip, and empower each of our students for learning today and success in the future. That is Bexley Bold!! In January the District Leadership Team will meet to do a mid-year analysis of progress toward each of the ten annual goals that we identified for this year. We will post progress for each goal on our website in late January or early February. Today, I am pleased to address our fourth, and perhaps most foundational, theme: Develop a high-performing team. Relationships and service to students are at the heart of education; therefore, a high-performing team is foundational to achieving the goals and objectives set forth on our strategic plan. How do we develop a high-performing team? We invest in our people. We have set an objective to achieve the optimal Bexley culture over the next three years? We will meet that objective when we have consistently aligned our team to common vision, mission, and values across the district. We will collectively work to deliver an exceptional K-12 experience that will lead to students who are engaged, equipped, and empowered for their future. A second indicator of our progress toward the optimal Bexley culture is a learning environment in which staff and parents are knowledgeable of 21st Century learning in order to support student learning goals. Once again, common goals and common understanding among the team is foundational to achieving the goals that we have for our students. 1. Consistently communicate vision, mission, and values to staff, students, parents, and community via multiple formats. 2. Administrators participate in specific leadership development programs. 3. Implement a Parent Institute. 4. Implement district-wide instructional goals that confirm the Bexley learning philosophy. I can report that we are well on our way to implementing these strategies and moving toward our goals and objectives. We have taken steps to improve professional learning experiences for staff and administrators aligned to our instructional goals. We have begun the steps to launch our Parent Institute in early 2019. And we have begun establishing structures to support teachers in understanding and implementing instructional goals based upon student data. All of our work will help all of us work together in supporting our drive to be Bexley Bold. I would like to take this opportunity to share more detail about what it means to “Leverage and grow vital community relationships.” We want to collaborate with business, civic, cultural, and philanthropic organizations to create innovative learning experiences for our students. There is a saying: Tell me, I forget. Show me, I remember. Involve me, I understand. The more ways that we can involve students in active learning, the better we will engage, equip, and empower them. We would like to grow our relationships in order to expand learning experiences to students, and that is why this theme is so important. It is our objective to achieve vital relationships to dramatically enhance students’ experiences and future opportunities in the next three years. How will we know that we have met that objective? We will have developed partnerships for career and college exploration and planning. We will have created partnerships for diverse learning and service experiences. 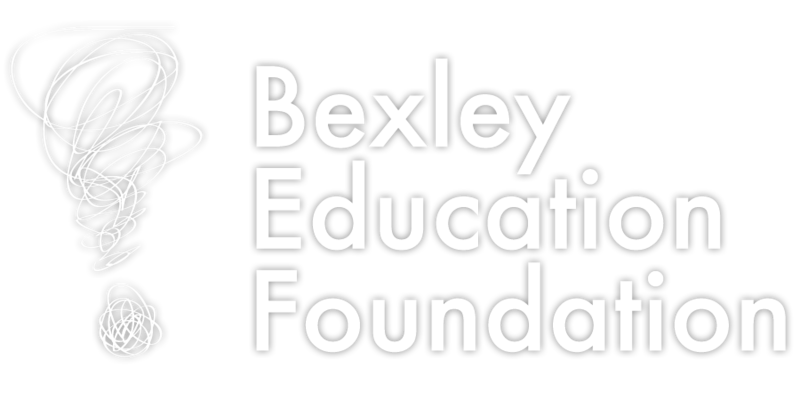 And we will have evolved and strengthened our partnership with the Bexley Education Foundation and other community organizations to impact a positive student experience. The next question, is what steps will we take to get there? In the first year of our Bexley Blueprint we are focused on assessing and prioritizing the highest-impact partnership opportunities and build capacity to build and leverage those partnerships. In order to cultivate the partnership and internship and service learning opportunities for our students, we will identify a role and responsibilities for this work. Specifically, we will develop a job description for an experiential learning coordinator/coach. This role may be fulfilled by a current staff member or could be a new role for Bexley Schools. More study will need to be completed to make that determination. We are well aware that the knowledge, skills, and mindsets that will help our students to be successful in school and into their futures will require new ways of teaching and partnerships that do more than provide surface relationships. And we are fortunate to have the opportunity to create those partnerships with those of you who live right here in our community. With you we will provide that exceptional education for today and tomorrow! I would like to take this opportunity to share some more detail about what it means to “Open doors that lead to flexible, expansive future opportunities.” As we plan instruction in order to develop our students for their futures, we must be cognizant of the fact that the world is changing rapidly. If we want our students to be prepared for that new world, we must be flexible, responsive, innovative, and creative while developing those same skills in our students. Take a look at this video from Ted Dintersmith’s website entitled, The Future of Work. That video shows the technology of today! The education that we provide should match what is happening in our world. After all, what will our kindergarten students see when they graduate from Bexley High School in 2031? Now more than ever, our students need a wide range of skills and opportunities. To meet those needs, our planning and our actions must be intentional. Within the Bexley Blueprint and this specific goal, is the development of a Bexley Student Success Profile. This profile will clearly articulate what we want EACH Bexley student to become by the time they complete high school. We will articulate the knowledge, skills, and attitudes or mind-sets that will propel our student to a future of their choosing. 1. Align department academic curriculum K-12. 2. Select and implement district-wide instructional leadership and instructional coaching practices. 3. Align and enhance curriculum with innovative teaching models and integrated technology. To realize these indicators of success, we will implement our new curriculum review and revision process with fidelity. We will invest in instructional leadership and instructional coaching to maximize our knowledge and skills as the adults and lead learners in our District. And we will identify structures to support innovative teaching. The way that we engage, equip, and empower our students is through clear articulation of our Student Success Profile and investment in instructional programming that helps each student to achieve that profile. Implementing the Bexley Blueprint is not the end of our work; It is another marker in the significant work we have ahead. I will continue to communicate with you about our work and progress as we go along. Leading up to winter break, I would like to provide a little more explanation of each theme and the work that will be done around that theme. I will begin with B – Build upon a student-centered learning culture. Bexley Schools have always been focused on students and their learning. But what does a student-centered learning culture look like today and into the future? At the roll-out of the Bexley Blueprint on October 17, three Bexley teachers shared what this concept looks like at the elementary, middle, and high school levels. It is thinking. Thinking about problems, thinking about solutions, thinking about ideas. It is solving problems; asking questions and not just giving answers; creativity and innovation; tying, failing, and improving. It is helping students to see the process of learning and not just the outcome. It is debate and discussion. It is messy; it is loud, and it is rigorous. It is personalized. How will we know if we get to that objective? We have identified four indicators of growth. 1. Cultivate a culture in which we collaborate with students and families to develop a personalized learning and growth plan for EACH Bexley student. 2. Address opportunity and achievement gaps to include all aspects of student performance (including extra-curricular areas). 3. Develop social and emotional health literacies K-12 (including in extra-curricular areas). 4. Create optimal learning environments that promote engaging, innovative, and effective teaching and learning. We have also set goals to accomplish this year toward our objective. Please visit our website for those goals and additional information about our process and overall plan. With a new strategic plan, what is the future of the different best practices in the district? The answer to the question lies in the importance of this plan to our schools. The new strategic plan will bring alignment to our academics and also align our entire budget to these resources. Throughout the organization, all resources and work will align to the important work as identified by the community, teachers, staff and students on this plan. As we prepare to officially launch the plan in October, it is important to remember why our schools engaged in this process. It is simple: The board wished to answer the question, “What is the future that we want for our Bexley City Schools?” Doing so came at the perfect time. The last strategic plan took place more than 10-years-ago and the educational landscape has changed significantly during that time. In order continue as a successful district we must acknowledge and respond to changes with strategic vision and planning. Bexley City Schools personnel will continue aspects of the different best practices that continue to align with our new vision and mission. The workshop structure at Montrose is a solid structure that allows teachers to meet the individual needs of students, and we will not only keep that structure at Montrose but continue to expand it across all schools and grade levels. The work at Montrose is evidence and researched based. Maryland aligned to the Effective Schools research of the 1970s. This research led to a framework for school improvement that promoted quality and equity to lead to high student achievement (Taylor, 1990). Maryland teachers were supported in this work by two outside consultants. We will expand this support to all elementary teachers particularly focusing on the development of units of study for our new science curriculum, which is currently being developed. Cassingham Elementary became an International Baccalaureate Primary Years Programme school. The Middle School aligned to the IB Middle Years Programme. These IB programs include an inquiry-led, transdisciplinary framework that “challenges students to think for themselves and take responsibility for their learning as they explore local and global issues and opportunities in real-life contexts” (International Baccalaureate, 2018). We believe so much in an inquiry-based approach to learning that this past summer we supported teachers in learning more about teaching for creativity at the Columbus Museum of Art, problem-based learning with the PAST Foundation, and this year a number of teachers and administrators will participate in professional learning with Harvard’s Project Zero, which focuses on developing the thinking skills of students. Moving forward we will support the philosophies of IB for students and teachers at all five schools. Finally, the High School previously aligned to Advanced Placement courses, from College Board. Advanced Placement is not a best practice but a set of courses. We expanded our AP offerings this year to include three additional courses. In short, if a philosophy, structure, or instructional strategy is a best practice, we believe that EACH student in our schools should benefit from it. Therefore, while we will no longer align different schools with different practices, we will expand what is beneficial from those practices to all schools. This decision is based upon the feedback gathered during the strategic planning process. Our new plan focuses on equity of opportunity for EACH student. To maintain separate best practices would not be in line with the data that our stakeholders have provided. Any time that a new plan is developed, something of the past must change. One of the greatest challenges in education is the propensity to add to teachers’ and administrators’ responsibilities but never to remove anything. We cannot implement our new vision and mission if we are unwilling to let some of the old structures go. As I have indicated above, we will always keep what is effective, but after 15 years of implementing separate best practices, it is time to allocate our time and financial resources to the new strategies that will benefit our students. We cannot afford to stress our staff or our financial resources to continue work that we have mastered. Our strategic plan is our new Bexley Blueprint for engaging, equipping, and empowering each student. The only way to be responsible to the learning of each student, both today and tomorrow, is to align our strategies, professional development, and support for our students. And that is our commitment to our students, our staff, and our community. We are stepping forward to that we can become what our students need us to be. Taylor, B.O., & National Center for Effective Schools Research and Development, M.W. (1990). Case studies in effective schools’ research. *For the 2018-19 academic year, Cassingham will continue to be identified with IB as a partner school; however, we will not continue to pay the fee for participation beginning in 2019-20. The Middle School, with input from the staff, elected to no longer identify as an IB school this year. It’s 5:00 PM and the first day of the 2018-2019 school year is in the books! And what a great day it has been! I had the pleasure of spending time in each of our five schools, and in each school, I saw smiles everywhere. On the sidewalks entering our buildings, in the hallways, in the classrooms, in the cafeterias. Those smiles are evidence of how each new year brings with it renewed energy and commitment to our students and their learning. But this year is really special.